To begin the next leg of our Virtual Pilgrimage, click on the town of Tiberias. Next, click on Mount Tabor. 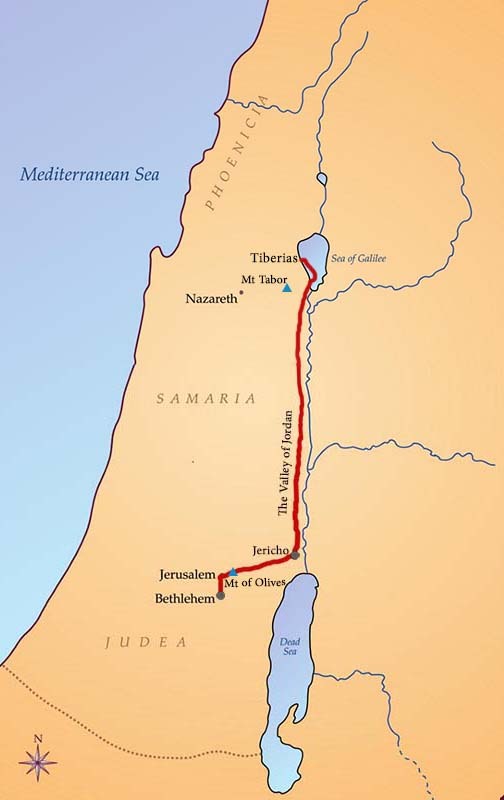 Now we go back down the Jordan Valley to Jerusalem. We have to pass through the Valley of the Shadow of Death between Jericho and Jerusalem. Click there! Note that next we travel through the Mount of Olives before arriving in the city. We’ll go back to the Mount of Olives “tomorrow” (Good Friday), but for now, go with us to the Last Supper of Jesus. Click on Jerusalem.